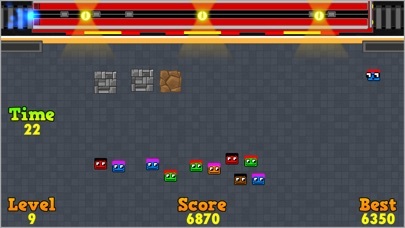 iPad New game TrainRush! Ever had fun during rush hour? Now you can! Discussion in 'iPhone and iPad Games' started by alex_p, Aug 26, 2015. My first game TrainRush! is on the App Store now and it's free to download. Ever had fun during rush hour? Now you can! Get ready to board the train! The station is busy and it will get busier! A hell of a lot busier! How long can you manage to keep it in running order? Board passengers as quickly as possible onto arriving trains and achieve your highest score in this hugely addictive, fast-paced arcade game! 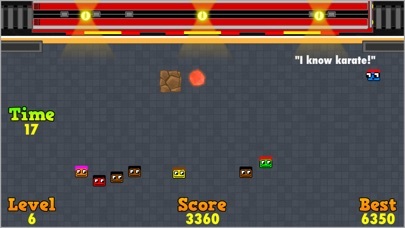 Keep a keen eye out for power-ups, obstacles and other challenges! Don't forget to share your highest score with your friends. The station manager is there to assist you in your quest! So look out for his announcements and tips to succeed. Or you can search "TrainRush" on App Store app. I am a keen gamer myself and would appreciate any (constructive!) feedback. I am also working a new game called Super Football Kids, so stay tuned. Glad you like it and thanks for trying it out. Hey! I'm really having fun with it! Great work! There's also a short promo vid that I forgot to add which tells a story about the development of the game!